Incense: Pine, cedar, bayberry & cinnamon. Stones: Rubies, garnet, bloodstone, topas,c itrine, clear quartz. Food: Spiced cider, bread, cookies, nuts, game, turkey, pork, ale, eggnog, mulled wine, roasted apples. 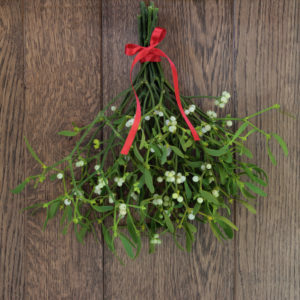 Decorations: Evergreens such as pine, rosemary, bay, juniper & cedar. Colors: Red, green, gold, white, silver, yellow & orange. Corresponding Moon: New Moon – symbolizing introspection, new beginnings and dreaming your world into being. Yule and the Winter Solstice, symbolizes the rebirth of the Sun, and is considered an important turning point in the wheel of the year. This Sabbat marks the longest night, and the shortest day of the year, and is the day where the Goddess, the Moon, gives birth to the God, the Sun. From this day the number of daylight hours increases a little bit every day, all the way until the Summer Solstice, where the Goddess becomes ascendant once more. The return of the light after the darkness symbolizes new beginnings and new hope, and this is a good day to set intentions for the seeds you want to sprout with the return of the nourishing sun. Many of the old yule traditions are adopted in to the modern Christmas celebration, and many customs created around Yule are identified with Christmas today. Caroling, decorating you home with the Yule tree, holly and candles, exchanging of presents and kissing under the mistletoe are all connected to Yule, but are common traditions for celebrating Christmas all over the world. Other symbols for Yule includes the Yule log, or small Yule log with 3 candles, evergreen boughs or wreaths, holly, gold pillar candles, baskets of clove studded fruit, a simmering pot of wassail, poinsettias and the Christmas cactus (The White Goddess). Fire festivals, celebrating the rebirth of the Sun, held on the Winter’s Solstice can be found throughout the ancient world. The Yule log has a special place in the celebrating of Yule, and is burned in the fire to symbolize the Newborn Sun. The ceremonial Yule log was the highlight of the Solstice festival. In accordance to tradition, the log must either have been harvested from the householder’s land, or given as a gift… it must never have been bought. Once dragged into the house and placed in the fireplace it was decorated in seasonal greenery, doused with cider or ale, and dusted with flour before set ablaze by a piece of last years log, (held onto for just this purpose). The log would burn throughout the night, then smolder for 12 days after before being ceremonially put out (The White Goddess). As the season change, it is time to renew and redo our seasonal altar. Burn seasonal incense, and add candles, stones and seasonal flowers to your sacred space to honor the Sabbat. Use your imagination and follow your gut. What feels right for you and your altar around this time? As always, the Sabbats are times of reflection. Yule, being the longest night of the year makes this a time for introspection and planning for the future. It’s a day for taking time out of your day for journaling, and getting clear on your wishes for the year to come, as well as to set intentions for peace, love, harmony and increased happiness both for yourself and your loved ones. Just like the earth goes through seasons, and the moon through her cycles, we do too. So on these special days of the year; take time to honor where the earth – our beloved pachamama – is in her cycle, and take time to honor where you are too. What is your heart whispering in the stillness of the dark? What are your grateful for at this time? Reflecting upon what the past year has thought you, what are you bringing with you into the new year, and what stays behind?